We were right once again! The Tribeca’s replacement will be named the 2018 Subaru Ascent without any doubt. Like we said before, the all-new crossover will hit the interesting mid-size segment, and will feature three rows and seven seats. In addition, it should have two options under the hood and pretty gorgeous exterior and pretty untypical lines. 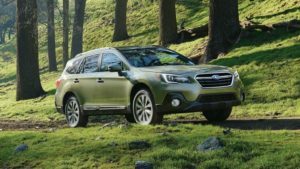 The 2018 Subaru Ascent will definitely use the same platform as the new Impreza. Well, not identical, but a bit stretched, so it can easily accommodate all passengers. The carmaker is still silent regarding the possible engine options, but we can’t figure out anything else but an outstanding 3.6-liter flat six engine, which develops 256 horsepower and 247 lb. ft. of torque. 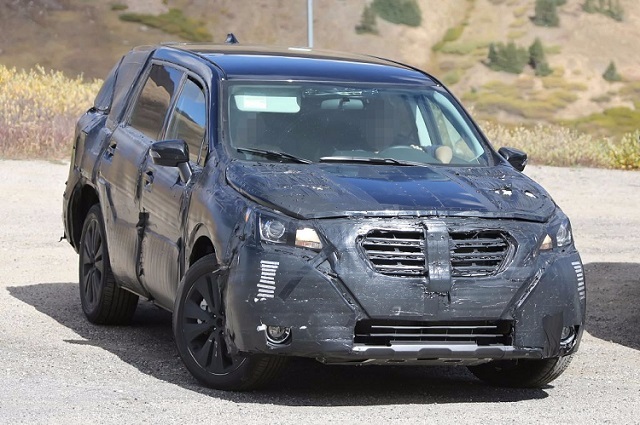 Still, according to the latest reports the 2018 Ascent SUV might also use a new 2.0-liter turbocharged flat-four engine with around 250 horsepower. This mill is already introduced with the new Forester, so we have really good idea what to expect from it. Still, Subaru’s new Global Platform can support a range of different engines, which means that the carmaker could also use something else like some hybrid powertrain. Styling wise, we can’t say much because the testing mule uses too much camo. Still, we are pretty sure it will be similar dimensions like Ford’s Explorer, which makes us to believe there will be plenty of space inside. 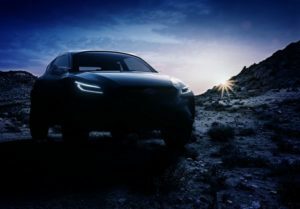 In any case, the design appears to be really aggressive in the front, but pretty boxy in the rear, so we can say you will get the new SUV with Forester’s face and Outback’s hatch. The all-new three-row crossover won’t be introduced soon, so we will have more information in the coming months. In any case, if you believe in rumors, the price should start very low at $30K, while the range-topping model could cost around $50,000.